Botox has been one of the most popular non surgical treatments since the 1990’s. Patients continue to recommend Botox injections to their friends and family due to its ease and effectiveness. The contraction of muscles in your face, such as that from frowning or smiling, can cause your skin to lose its elasticity. These repetitive movements can cause wrinkles and fine lines to form. Botox works by blocking the nerve impulses in the muscles so your skin will appear more relaxed with fewer wrinkles. Botox treatments only take fifteen to thirty minutes, and results can last up to four months. 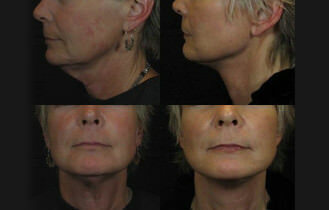 Many of our patients return to Reviance Portland® for repeat applications every 3 to 4 months. Additionally, there is no downtime and you can see results almost immediately (within 1 week). The cost for Botox treatments will depend on the severity of your wrinkles and the number of injections used during treatment. Our Reviance Portland® staff will be happy to discuss pricing and financing options at your initial consultation.